Someone got called out of an incredible 560,000 eth/usd contract on Bitmex as ethereum’s price suddenly jumped today starting at 1:15 PM London time. 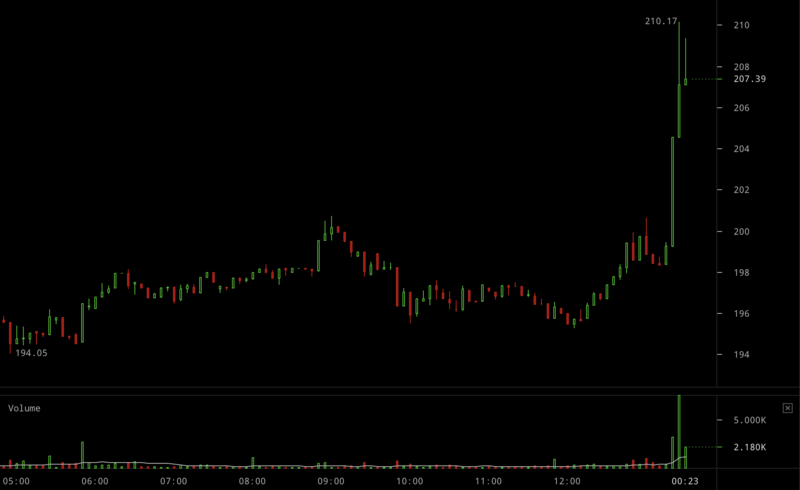 Price rose within minutes from about $198 to $210 following yesterday’s stupendously high trading volumes for ethereum. Ethereum suddenly jumps, Sep 2018. What caused this is unclear, but alarms must be going off right now as all-time high shorts start getting called, which itself might place further buy pressure on price. 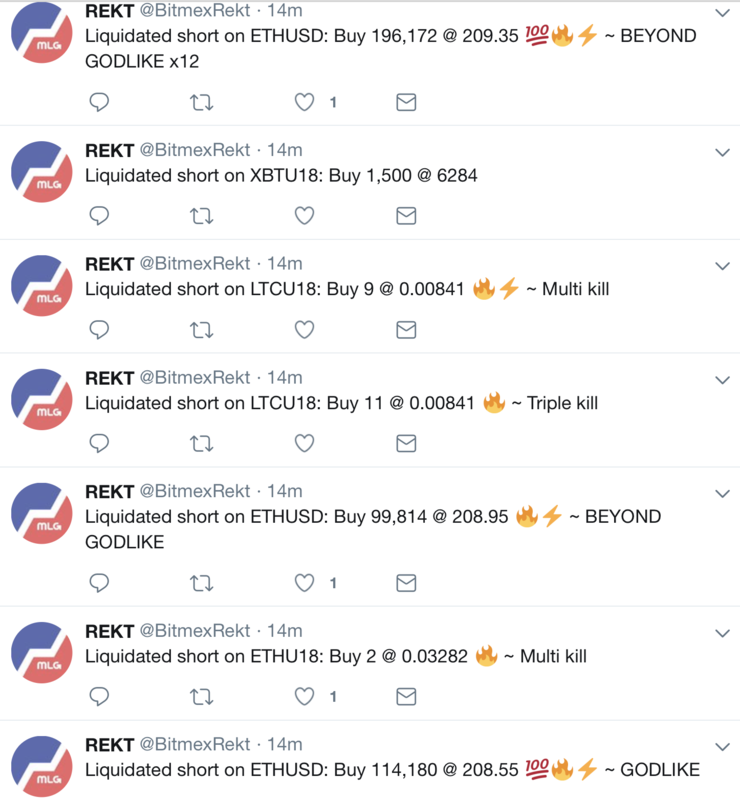 On Bitmex in particular, where they gamble with as high as 100x margins (borrowed eth), at least two people were called out of a 100,000+ short position, while one person (featured image) lost more than his shirt with a 563,000 short position closed, amounting to 3,500 eth or $700,000 at current prices. In contrast, Bitfinex eth shorts haven’t seen much action with only ◊10,000 closed, presumably because they have more buffer as Bitfinex has margins of only 3x. It is unclear at this stage whether any news triggered this sudden price jump or whether it is just markets being markets after ethereum may have made a higher low on near all-time high volumes. That could suggest $167 is really the bottom, so potentially giving the market some confidence, but whether that is the case remains to be seen. Article update to clarify the shorts are contractual positions rather than actual eth.